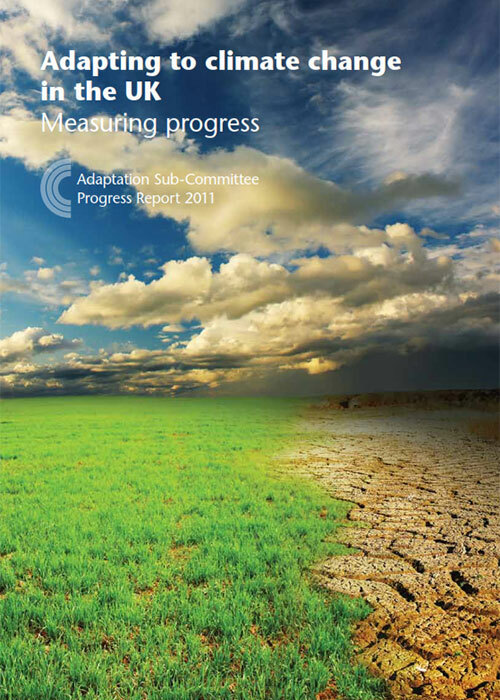 This is the ASC’s second assessment of how well the UK is prepared to deal with climate change impacts and risks. It sets out a range of indicators against which the UK’s progress will be measured, and focuses on three priority areas of land-use planning, managing water resources, and the design and renovation of buildings as adaptation measures. Chapter 2 – How vulnerable is the UK to the climate? Darch, G., Arkell, B. and Tradewell, J. (2011) – Water resource planning under climate uncertainty in London. Atkins Report. Ranger, N. (2011) – Commentary of adaptation cost-curves – Independent commentary on the usefulness of the adaptation cost-curve methodology for decision-making. The note considers the approach undertaken by the Davis Langdon (AECOM) commissioned by the ASC, to identify potential low-regrets adaptation options to climate change in the residential buildings sector. The note concludes with a discussion on how the approach could be both improved and extended to aid decision-making by households, the government and other agents. The charts and data behind these are available below for each chapter of the report.